Who, What, Why: What is the Gini coefficient? Fifty years ago, Corrado Gini, inventor of the Gini coefficient, which measures income inequality, died. How does it work, asks Chris Stokel-Walker. When Italian statistician - and former fascist - Corrado Gini died in Rome on 13 March 1965, he could not have known that 50 years on, the UN would still use his name in their annual rankings of nations. "The Gini coefficient provides an index to measure inequality," says Antonio Cabrales, a professor of economics at University College London. It is a way of comparing how distribution of income in a society compares with a similar society in which everyone earned exactly the same amount. Inequality on the Gini scale is measured between 0, where everybody is equal, and 1, where all the country's income is earned by a single person. Gini developed his coefficient in 1912, building on the work of American economist Max Lorenz, who published a hypothetical way to depict total equality - a straight diagonal line on a graph - in 1905. The difference between this hypothetical line and the actual line produced of people's incomes is the Gini ratio. In 2012-13, the UK's Gini score for income inequality was 0.332, as measured by the Office for National Statistics. 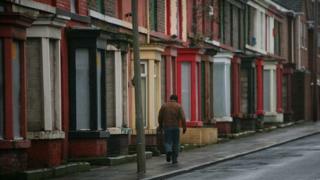 Individual cities vary in their equality - London is the most unequal, as measured by the Joseph Rowntree Foundation, while Sunderland is the most equal. "The Gini has been around for a very long time, and it's very technically sound if you want to measure income inequality across the whole population," explains Andy Sumner, director of the International Development Institute at Kings College, London. "But one might say the Gini is oversensitive to changes in the middle, and undersensitive at the extremes." The coefficient doesn't capture very explicitly changes in the top 10% - which has become the focus of much inequality research in the past 10 years - or the bottom 40%, where most poverty lies. As a result, Sumner and colleague Alex Cobham put forward an alternative - the Palma ratio - which does. "We tried to come up with a measure more sensitive to changes at the top which people are more interested in, and which is more intuitive," says Sumner. If the richest 10% of the population has five times the income of the bottom 40%, a country's Palma ratio is 5. The idea is picking up steam. The Palma ratio has since been listed in the OECD rankings of countries' inequality, and in annual UN Human Development reports, alongside the Gini. Whether Corrado Gini's coefficient will last another half century is uncertain.